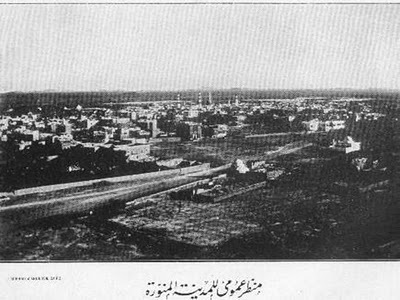 THE COMPANION: Abu Ayub al-Ansari RA - From Madinah to Constantinople. 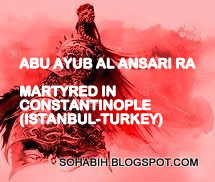 Abu Ayub al-Ansari RA - From Madinah to Constantinople. Abu Ayub al-Ansari RA born Khalid bin Zayd bin Kulayb in Yathrib — hailed from the tribe of Banu Najjar and was a close companion (Arabic: الصحابه, sahaba) of Muhammad. He was named after the biblical Job. Abu Ayub al-Ansari RA was one among the Ansar (Arabic: الأنصار, meaning aiders, helpers or patrons) of early Muslim history or those who supported Rasulullah SAW after the hegira (migration) to Medina in 622. The patronym Abu Ayub means father (Abu) of Ayub and enjoyed a privilege which many of the Ansar in Madinah hoped they would have. When Rasulullah SAW reached Madinah after his Hijrah from Makkah, he was greeted with great enthusiasm by the Ansar of Madinah. Their hearts went out to him and their eyes followed him with devotion and love. They wanted to give Rasulullah SAW the most generous reception anyone could be given. 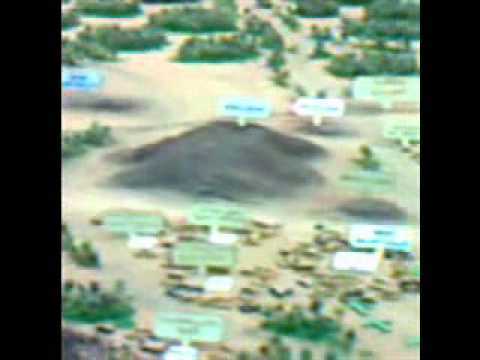 Illustration Only: View of Yathrib(Madinah) during Hijrah Rasulullah SAW. Rasulullah SAW first stopped at Quba on the outskirts of Madinah and stayed there for some days. The first thing he did was to build a mosque which is described in the Quran as the "mosque built on the foundation of piety (taqwa)". (Surah At-Taubah 9: 1O8). 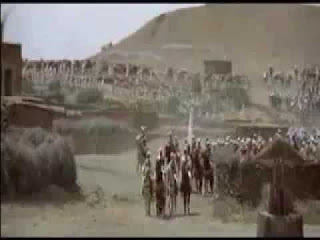 The camel continued walking, closely followed by the eyes and hearts of the people of Yathrib. When it went past a house, its owner would feel sad and dejected and hope would rise in the hearts of others still on the route. This wasn’t just a journey or traveling from one location to another, but an entire procession was moving. It was a slow journey from the Masjid of Quba to the place that would eventually be designated as Masjid al-Nabawi As-Sharif in Madinah. Illustration Only: The various settlements of tribes in Madinah. On the way, it was time for Zhur. Rasulullah SAW stopped in the neighborhood of Banu Salem, a spot between some of the mountains in the outskirts of Madinah. Musa’ab bin Umair & As’ad bin Zurara (one of the leaders of the Ansar) were sent by Rasulullah SAW to institute the Friday prayer after Rasulullah SAW’s second meeting with the Ansar, so Salah al Jumu’ah had been going on for some time now. After prayer, Rasulullah SAW gave the Khutbah. Aus and Khazraj had declared war against one another. They had multiple severe full-scale battles, where hundreds of people were killed. In these battles between Aus and Khazraj, hundreds were killed. It was very severe, and in our modern day equivalent it would be like thousands of people dying in battles. Everyone was fighting everyone else in Madinah Al Munawarrah. The last major battle they had was 5 years before Rasulullah SAW arrived in Madinah and that day was known as Yaum al Buath, in which hundreds of people were killed from all tribes. Even if As’ad bin Zurarah RA never said these things, because the Sahabah had the utmost respect for Rasulullah SAW he would still feel bad possibly. Rasulullah SAW passed through Banu Sayyidah, where the same thing occurred. Rasulullah SAW then passed through the neighborhood of Banu Al-Harith, where the same thing occurred. He then passed though the neighborhoods of Banu Adi ibn Najr, Rasulullah SAW’s distant relatives. – As he is passing through neighborhood after neighborhood, the Prophet passed by the home of Abdullah Ubay bin Sulul, a leader of Khazraj, who would later be known as the Ra’isul Munafiqeen (Leader of the Hypocrites). 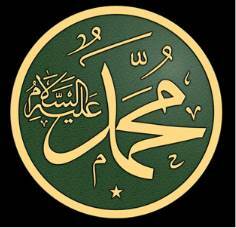 He was a major force against the Muslims & the community of Rasulullah SAW. He was difficult to deal with & later down on the road, he created problems for the Prophet. Rasulullah SAW asked someone to go and tell Abdullah Ubay that Rasulullah SAW would like to meet with him. Some of the members of the tribe of Khazraj went to Abdullah Ubay’s his door and knocked. He knew that there was all this commotion in Madinah today because of Rasulullah SAW arrival, so he was hiding out inside of his house. Rasulullah SAW didn’t say anything. Rasulullah SAW just got back on his camel and continued on his way. Rasulullah SAW continued on his journey within in Madinah until he came upon the neighborhood of Banu Malik bin Najjar. The camel continued in this fashion with the people following it until it hesitated at an open space in front of the house of Abu Ayub al-Ansari RA. But Rasulullah SAW did not get down. After only a short while, the camel set off again, Rasulullah SAW leaving its reins loose. Before long, however, it turned round, retraced its steps and stopped on the same spot as before. Abu Ayub al-Ansari RA’s heart was filled with happiness. Abu Ayub al-Ansari RA went out to Rasulullah SAW and greeted him with great enthusiasm. Abu Ayub al-Ansari RA took Rasulullah SAW’s baggage in his arms and felt as if he was carrying the most precious treasure in the world. Abu Ayub al-Ansari RA's house had two stories. Abu Ayub al-Ansari RA emptied the upper floor of his and his family's possessions so that Rasulullah SAW could stay there. But Rasulullah SAW preferred to stay on the lower floor. "Woe to us! What have we done? 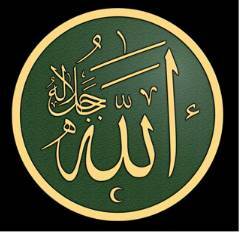 Rasulullah is below and we are higher than he! Can we walk on top of Rasulullah? Do we come between him and the Revelation (Wahi)? If so we are doomed." The couple became very worried not knowing what to do. They only got some peace of mind when they moved to the side of the building which did not fall directly above Rasulullah SAW. They were careful also only to walk on the outer parts of the floor and avoid the middle. In the morning, Abu Ayub al-Ansari RA said to Rasulullah SAW: "By Allah, we did not sleep a wink last night, neither I nor Umm Ayub." "Why not, Abu Ayub?" asked Rasulullah SAW. Abu Ayub al-Ansari RA explained how terrible they felt being above while Rasulullah SAW was below them and how they might have interrupted the Revelation. "Don't worry, Abu Ayub," said the Prophet. "We prefer the lower floor because of the many people coming to visit us." "We submitted to Rasulullah SAW’s wishes," Abu Ayub al-Ansari RA related, "until one cold night a jar of ours broke and the water spilled on the upper floor. Umm Ayub and I stared at the water and we only had one piece of velvet which we used as a blanket. We used it to mop up the water out of fear that it would seep through to Rasulullah SAW. In the morning I went to him and said, 'I do not like to be above you,' and told him what had happened. He accepted my wish and we changed floors." Rasulullah SAW stayed in Abu Ayub al-Ansari RA’s house for almost seven months until his mosque was completed on the open space where his camel had stopped. Rasulullah SAW moved to the roots which were built around the mosque for himself and his family. He thus became a neighbor of Abu Ayub al-Ansari RA. What noble neighbor to have had! Abu Ayub al-Ansari RA continued to love Rasulullah SAW with his entire heart end Rasulullah SAW also loved him dearly. There was no formality between them. Rasulullah SAW continued to regard Abu Ayub al-Ansari RA’s house as his own. The following anecdote tells a great deal about the relationship between them. Saidina Abu Bakr RA, once left his house in the burning heat of the midday sun and went to the mosque. Umar saw him and asked, "Abu Bakr, what has brought you out at this hour? Saidina Abu Bakr RA said he had left his house because he was terribly hungry and Saidina Umar RA said that he had left his house for the same reason. 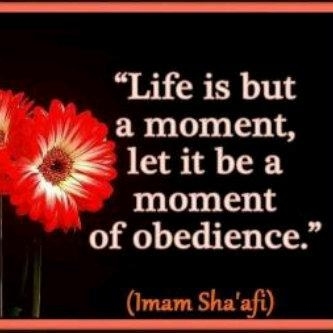 Rasulullah SAW came up to them and asked, "What has brought the two of you out at this hour?" They told him and he said, "By Him in Whose hands is my soul, only hunger has caused me to come out also. But come with me." They went to the house of Abu Ayub al-Ansari RA. His wife opened the door and said, "Welcome to Rasulullah SAW and whoever is with him." "Where is Abu Ayub?" asked Rasulullah SAW. Abu Ayub, who was working in a nearby palm grove, heard Rasulullah SAW’s voice and came hurriedly. "Welcome to Rasulullah SAW and whoever is with him," he said and went on "O Rasulullah!, this is not the time that you usually come." (Abu Ayub al-Ansari RA used to keep some food for the Prophet every day. When Rasulullah SAW did not come for it by a certain time, Abu Ayub al-Ansari RA would give it to his family.) "You are right," Rasulullah SAW agreed. Abu Ayub al-Ansari RA went out and cut a cluster of dates in which there were ripe and half ripe dates. "I did not want you to eat this," said Rasulullah SAW. "Could you not have brought only the ripe dates?" "O Rasulullah, please eat from both the ripe dates (rutb) and the half ripe (busr). I shall slaughter an animal for you also. "If you are going to, then do not kill one that gives milk," cautioned Rasulullah SAW. Abu Ayub al-Ansari RA slaughtered a young goat, cooked half and grilled the other half. Abu Ayub al-Ansari RA also asked his wife to bake, because she baked better he said. When the food was ready, it was placed before Rasulullah SAW and his two companions. Rasulullah SAW took a piece of meat and placed it in a loaf and said, "Abu Ayub, take this to Fatimah. She has not tasted the like of this for days. "This is a bountiful blessing about which you will be asked on the Day of Judgment. If such comes your way, put your hands to it and say, Bismillah (In the name of God) and when you have finished say, Al hamdu lillah alladhee huwa ashbana wa anama alayna (Praise be to God Who has given us enough and Who has bestowed his bounty on us). This is best." These are glimpses of Abu Ayub al-Ansari RA live during peace time. Abu Ayub al-Ansari RA also had a distinguished military career. Much of his time was spent as a warrior until it was said of him, “Abu Ayub al-Ansari RA did not stay away from any battle the Muslims fought from the time of Rasulullah SAW to the time of Muawiyah RA unless he was engaged at the same time in another." The Muslim army fulfilled the desire of the companion of Rasulullah SAW. They pushed back the enemy's forces in attack after attack until they reached the walls of Constantinople. There they buried him. 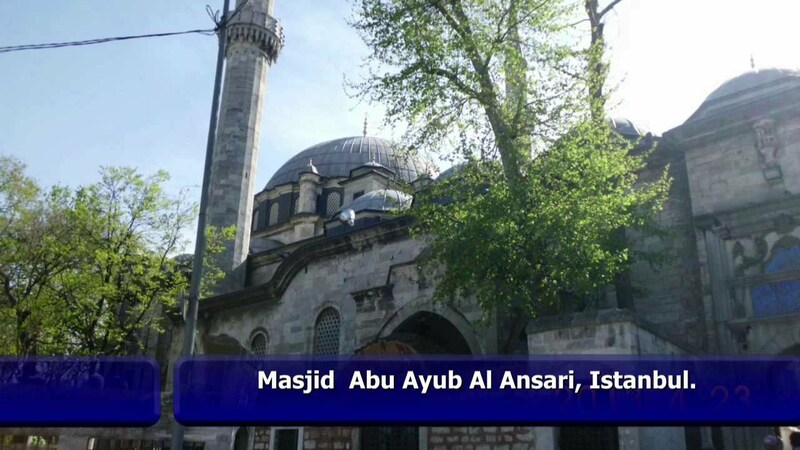 Update: The day Constantinople be the final resting place of Abu Ayub Al Ansari RA. The city of Istanbul, once Constantinople, purportedly hosts the tombs of many Sahaba, the revered Companions of the Prophet Muhammad. Though the city did not fall until 1453, when it was conquered by the Ottoman Sultan Mehmet II (d. 886/1481), Muslims forces campaigned against the city during the earliest decades of Islam’s irruption onto the world stage. The fifth Caliph Mu’āwiya (d. 60/680) directed a major campaign against Constantinople in the year 49/669, less than forty years after the Prophet’s death. In these earliest of days, it was often at the very walls of the city itself that some Companions of the Prophet reportedly breathed their last breath. The present post is the first of a series that will document the lives and alleged burial sites of many of these Sahaba. 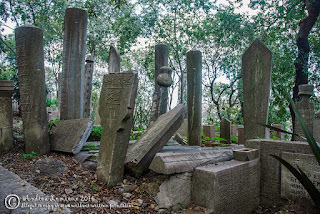 * By some counts, more than thirty such tombs are spread across the city. During our last visit to the city in May of 2012 we visited many- but far from all- of these in order to properly locate and photo-document them. It is hoped that this series will facilitate the future visits of other travelers and to shed further Abū Ayyūb al-Anṣārī. The Main Prayer Hall - Eyub Sultan Mosque. Entrance to to Masjid Eyub Sultan. Yahya related to me from Malik from Abu'n-Nadr, the mawla of Umar ibn Ubaidullah from Ibn Allah, the mawla of Abu Ayub Al-Ansari from an Umm Walid of Abu Ayub-Ansari that he practiced coitus interrupts. Yahya related to me from Malik from Yahya ibn Said from Adi ibn Thabit Al-Ansari that Abdullah ibn Yazid Al-Khatami told him that Abu Ayub Al-Ansari told him that he prayed Maghrib and Isha together at Muzdalifah during the farewell hajj, with the Messenger of Allah, may Allah bless him and grant him peace. Malik related to me from Yunus ibn Yusuf from Ata ibn Yasar that Abu Ayub Al-Ansari found some boys who had driven a fox into a corner, and he chased them away from it. Malik said, "I only know that he said, 'Is this done in the Haram of the Messenger of Allah, May Allah bless him and grant him peace?' 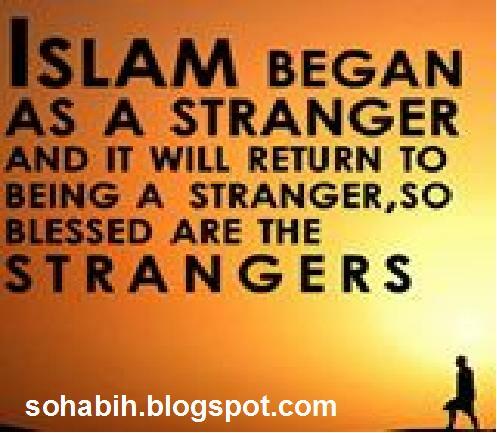 "
Yahya related to me from Malik from Ibn Shihab from Ata ibn Yazid Al-Laythi from Abu Ayub Al-Ansari that the Messenger of Allah, may Allah bless him and grant him peace, said, "It is not Halal for a Muslim to shun his brother for more than three nights, that is they meet, and this one turns away and that one turns away. The better of the two is the one who says the greeting first." Yahya related to me from Malik from Afif as-Sahmi that a man from the tribe of Bani Asad asked Abu Ayub Al-Ansari. "Sometimes I pray in my house, and then come to the mosque and find the imam praying. Should I pray with him?" Abu Ayub said, "Yes, pray with him, for someone who does so have the reward of the group, or the equivalent of the reward of the group." Yahya related to me from Malik that Yahya ibn Said said that Suleiman ibn Yasar told him that Abu Ayub Al-Ansari once set off to do hajj and then, when he reached an-Naziya, on the road to Makkah, his riding beasts strayed. He reached Umar ibn Al-Khattab on the day of sacrifice and told him what had happened and Umar said, "Do what someone doing Umrah would do, and then you can leave ihram, and then when the hajj next comes upon you, do it and sacrifice whatever animal is easy for you." 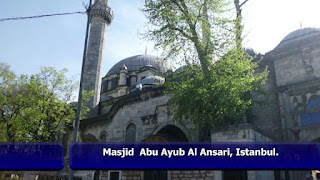 Selected Video Lectures and Story of Abu Ayub Al-Ansari RA.